6 pockets for Accessories and smaller gears. 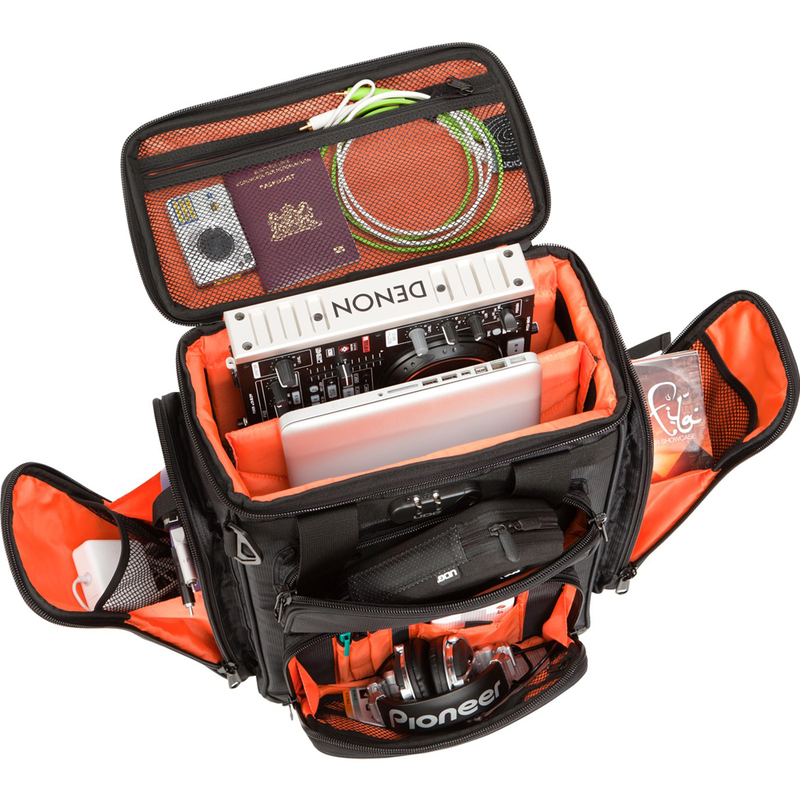 Inspired by the legendary UDG ProducerBag, the UDG Ultimate ProducerBag Large has been created to cater for those electronic musicians who crave more space for their performance equipment. 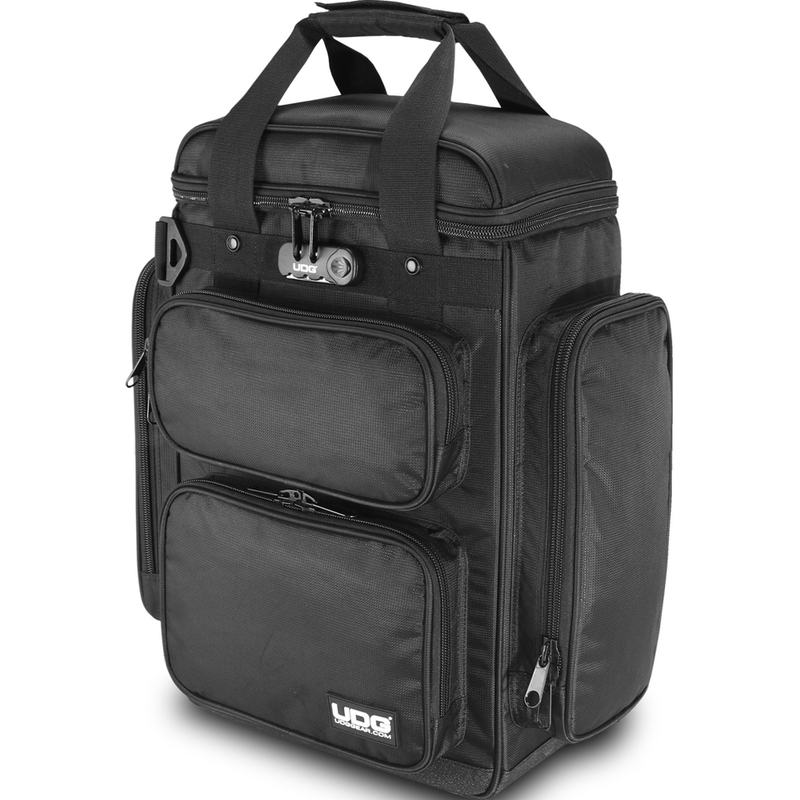 The UDG ProducerBag Large offers increased space for performers using laptops up to 18.4" and larger MIDI Controllers. 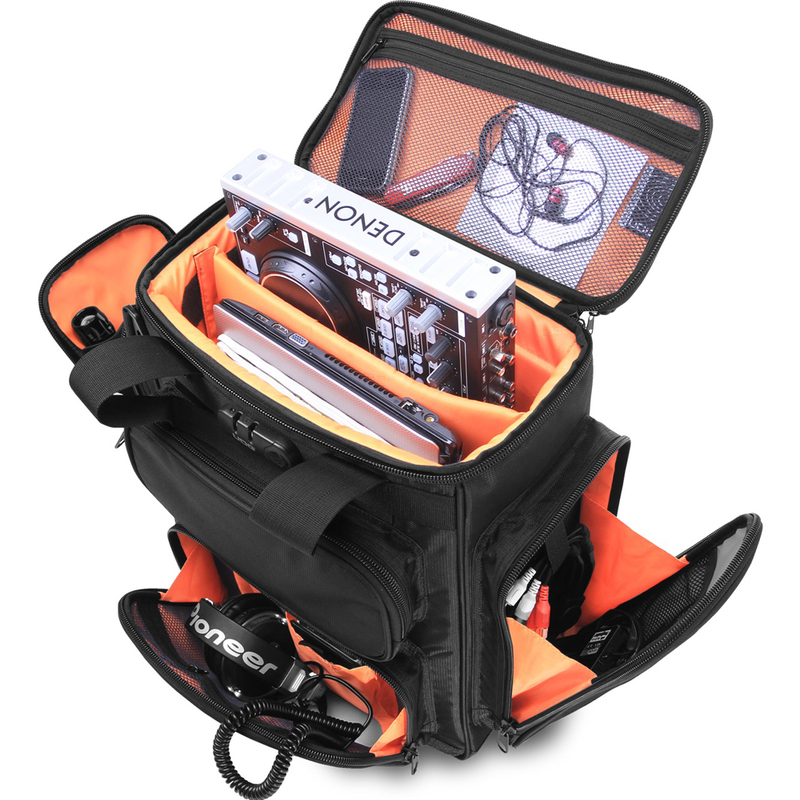 Constructed from high quality fabrics, the backpack style UDG ProducerBag Large features padded walls with an adjustable divider to create an internal partition to suit your own requirements. Available in black, the bag offers both comfortable transportation and padded protection for your valuable items. Pioneer DJM-900SRT, Reloop Beatpad 2, RMX-80, Denon DN-X1700, Hercules DJControl Jogvision.